Multifocal contact lenses are a boom for those who have a reading power along with distance power. These are useful for those who need contact lenses for near and distance vision. However they were always available in monthly disposable hydrogel option. 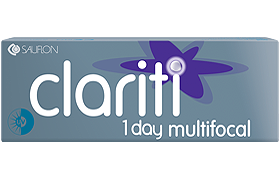 However with clariti they are now available in silicone hydrogel which has more oxygen to the eyes and even a daily disposable lenses material. 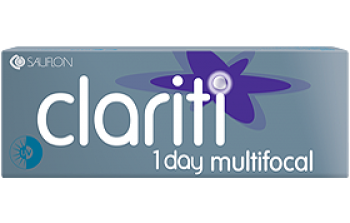 The water content in clariti 1 day multifocal is 56%. For users who need to wear lenses only on occasional days the daily disposable lens is the most amazing option for most users.